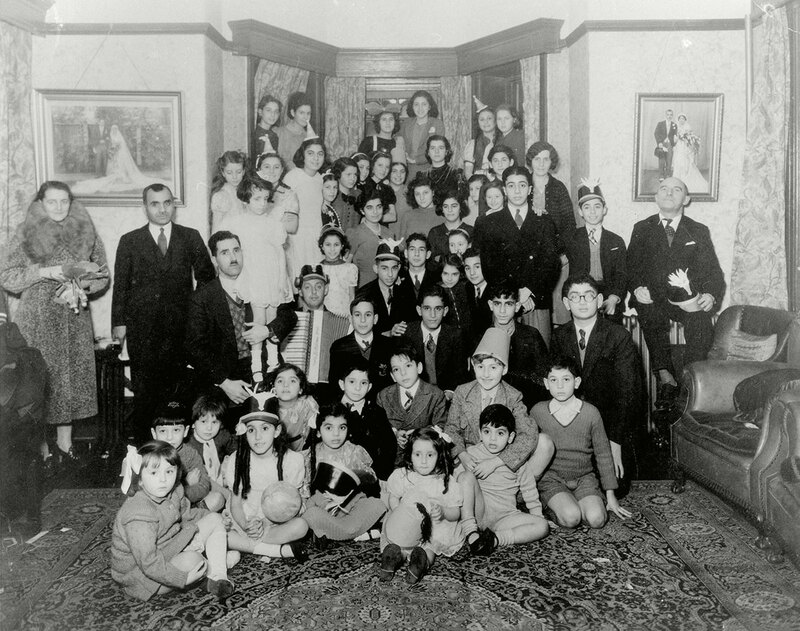 The player wearing red slippers had to temporarily leave the game. After all, nobody else was around to take payments at the small convenience store across the street. For me 2018 began in Taipei, from where in mid-February I made my way to Jiangmen in Guangdong province via Macau and Zhuhai. 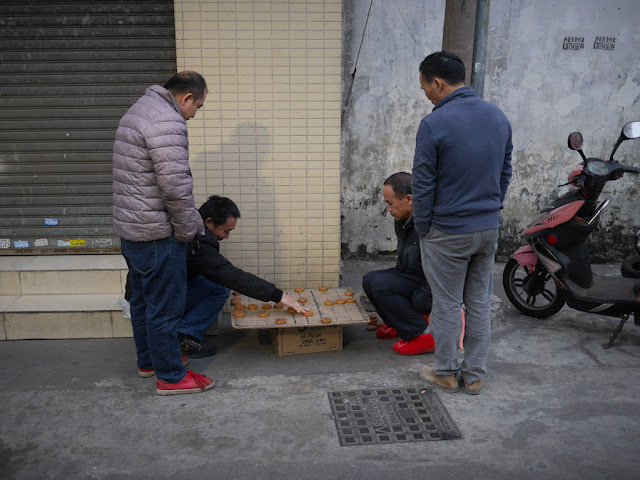 I spent two months in Jiangmen and of course saw some xianqi games — whether they were during the Lunar New Year or accompanied by various forms of smoking. 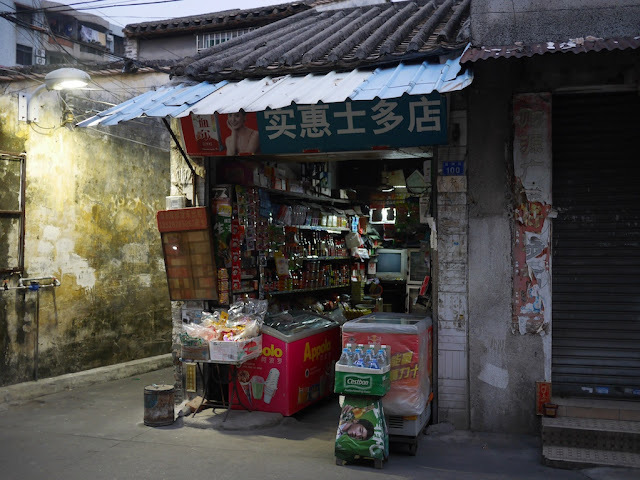 Then I headed to Yunfu where I explored wonderful karst topography and a historical street. 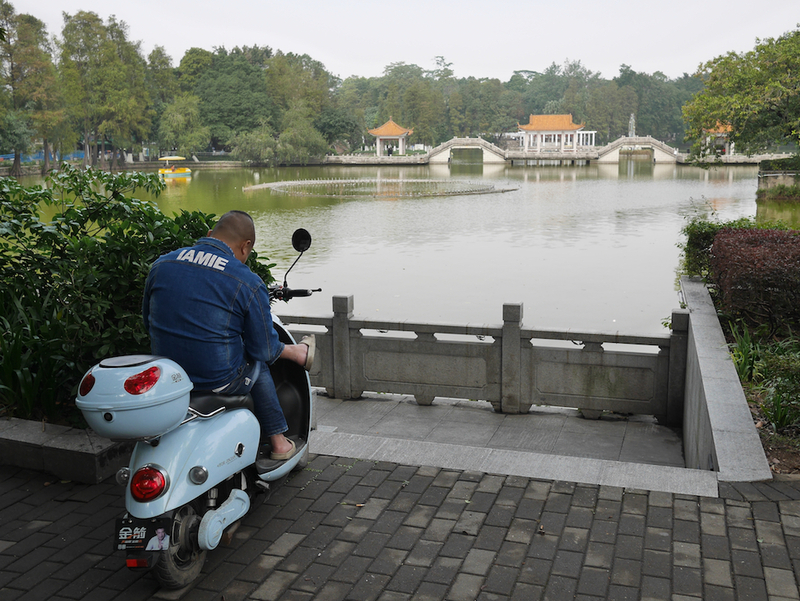 Next, in Zhaoqing I also explored much history and nature. Getting caught up on other matters meant I haven't yet shared much about the city here, though at least I managed to share my impression of the wonton's at a restaurant there with a logo rather similar to McDonald's. Similarly, I didn't manage to post much about Qingyuan, where I saw a rainbow for the first time in a while. Next I returned to a familiar location, Guangzhou, whose towers provided a stark contrast with my previous recent locations. Then it was on to Hong Kong where I caught some FIFA World Cup football in a mall and, of course, more xiangqi. After Hong Kong, I returned to the land of the Great Firewall and had some peculiar problems using some sites it blocks while I was in Shenzhen, though at least my location had a striking view. I had growing suspicions the issue was quite local. In fact, my problems were resolved after arriving in Huizhou, although the problems were only growing for some ducks there. Once again, catching up on matters and such led to me blogging very little about a city. 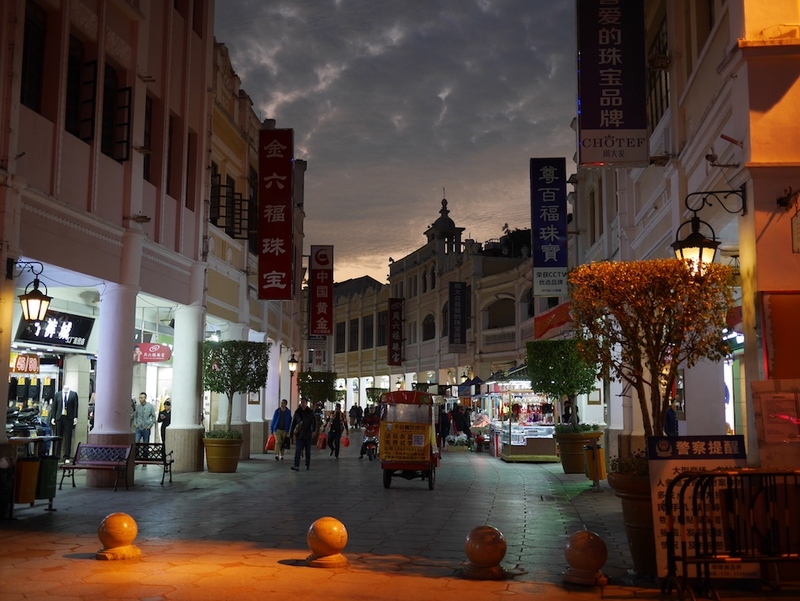 But such was not the case when I made my way Ganzhou in Jiangxi province. 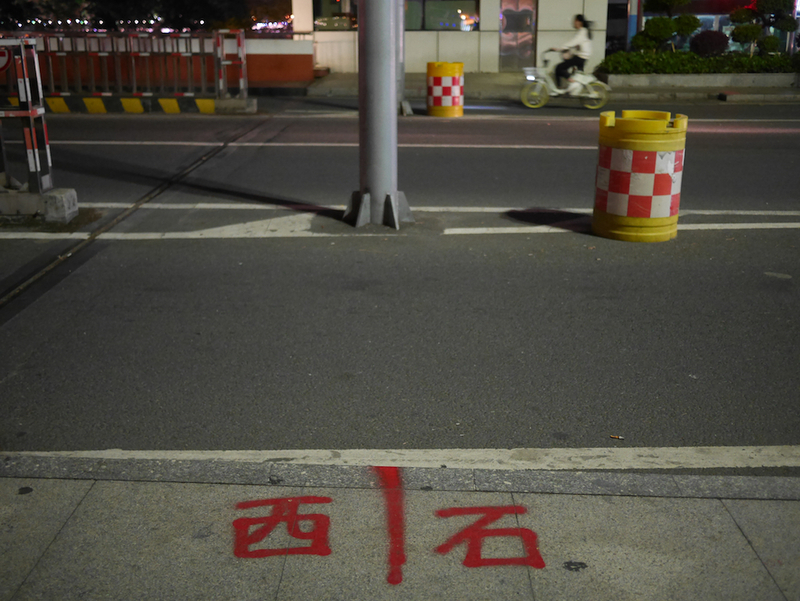 During nearly two months there, I observed much burning during the Hungry Ghost Festival, more rainbows, and, yes, more xiangqi — both during the day and at night. I then traveled from Ganzhou to Zhuhai by bus, and I finally found some Hot Chicken Wing and Wasabi Oreos to try. After Zhuhai, I moved on to yet another familiar city, Zhongshan, where I have been since. Left out of this account are various days trips I made to Macau, one of which allowed me to see the Macau Lunar New Year Festival. 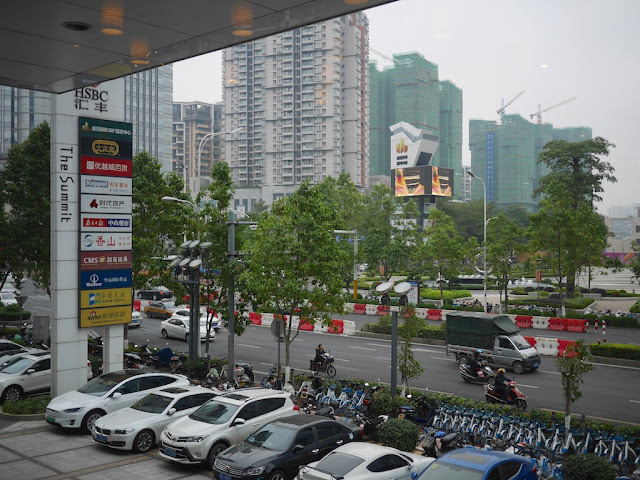 Personally, some of the most unexpected parts of the year for me was the amount of time I spent in Guangdong province and that I never made it farther north than Ganzhou. On several occasions I planned heading much farther north, including to Shijiazhuang in Hebei province and relatively nearby locations, but life is complex — sort of like a game of xiangqi. There is so much from the past year I still want to share and write about. Hopefully at least some of that happens later. But now, I will spend the last half hour of 2018 by exploring a tiny bit more. Signs of the Christmas spirit in Zhongshan, China, weren't difficult to find on Christmas Eve, particularly in commercial areas. However, in most of the city as I walked around things looked as they could on any other night. So on that note, here is a photo of something I saw on Christmas Eve that didn't have anything to do with Christmas yet still wasn't something I see every day. 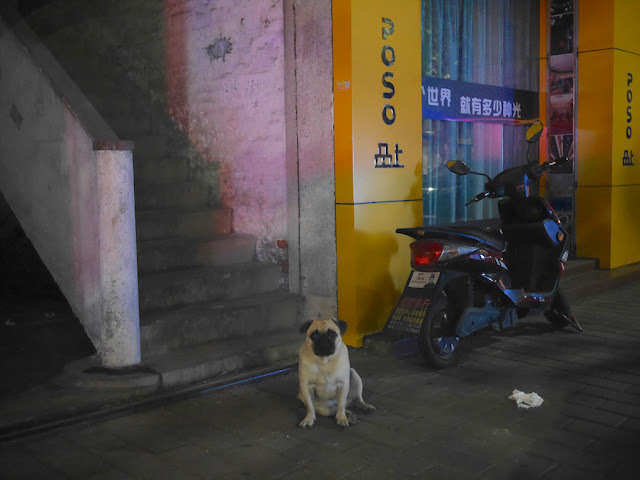 While I attempted to take a photo of a Chinese guardian lion with a helmet on its head, a man working inside came out and removed the helmet. It was clear he assumed I would prefer a photo without the helmet and was trying to help. So I explained that the helmet wasn't a problem and I actually liked its placement. Appearing to be amused, he smiled and returned the helmet to where it had been. Afterwards I took the above photo. 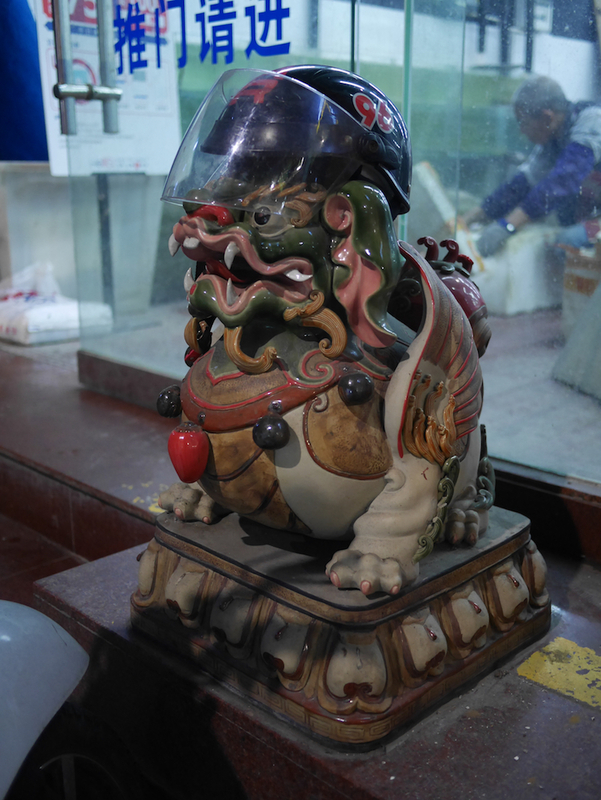 I guess even Chinese guardian lions can benefit from some extra protection. They can also be a convenient place to leave a helmet. During this blog's life, I have shared Christmas scenes from a variety of cities in China such as, in chronological order, Wuhan, Putian, Quanzhou, Zhangzhou, Hong Kong, and Wenzhou. The Wuhan post includes general information about the holiday in China that still largely holds. 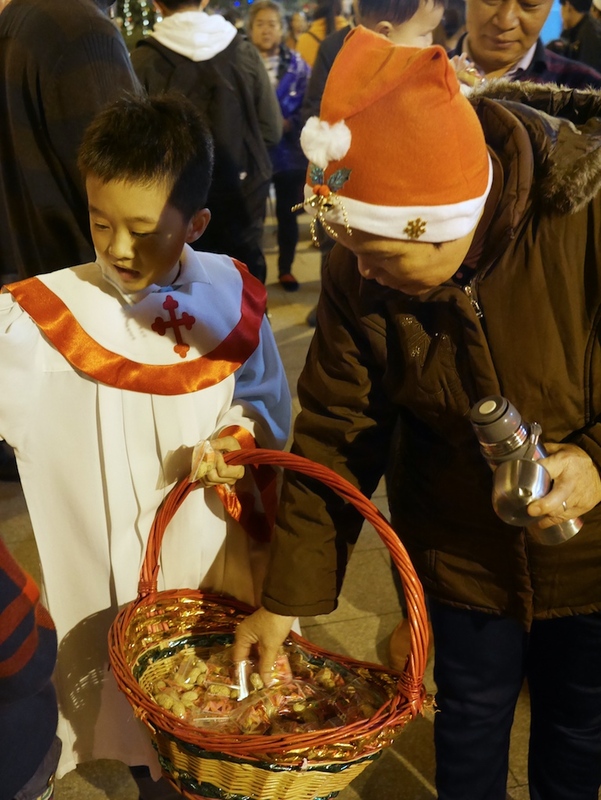 To complement the scenes of a Christmas Midnight Mass in Zhongshan I recently witnessed this year, below I will share a set of photos capturing some other aspects of how the holiday was celebrated in Zhongshan, even if just for fun with little or no religious connotation. 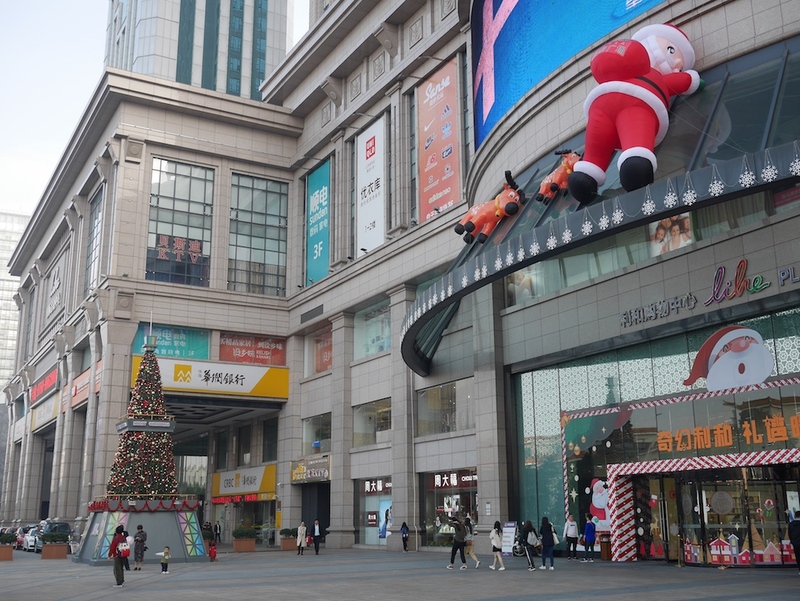 The post isn't as extensive as many of the earlier posts and none of the displays I saw were as elaborate as the somewhat surreal Star Wars Christmas display at a mall in Shanghai several years ago. But they offer a peak at the holiday in yet another city in China. 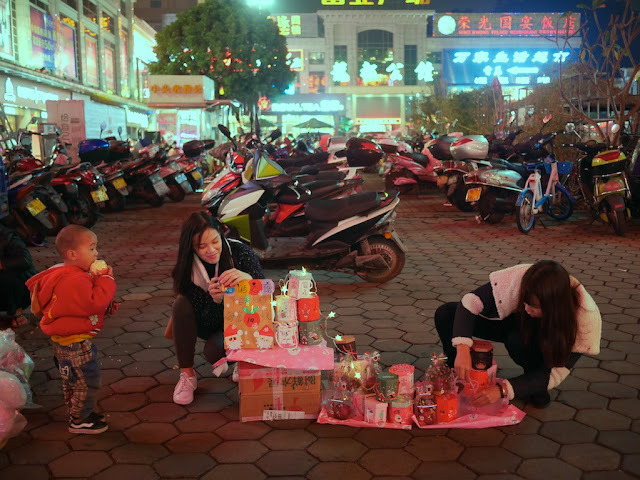 Not at all surprising, one of the first signs of the holiday I noticed on Christmas Eve night were two young women setting up a display of traditional-in-China Christmas apples in decorative boxes for sale. 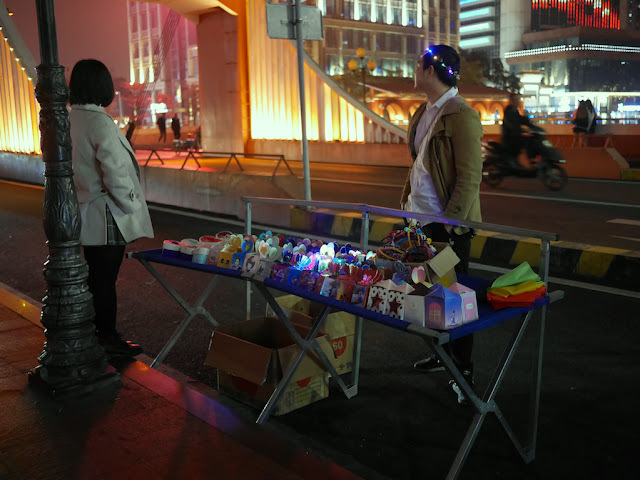 I wondered about their choice of location in the midst of a small informal night market in front of Fuye Square. All I can say is that just as I was about to walk away they already had potential customers. Not very far away on the Qijiang Bridge, I saw more people selling Christmas apples. At the time they were keeping an eye out for relevant authorities some other vendors thought soon might be on the way to stop such activities. 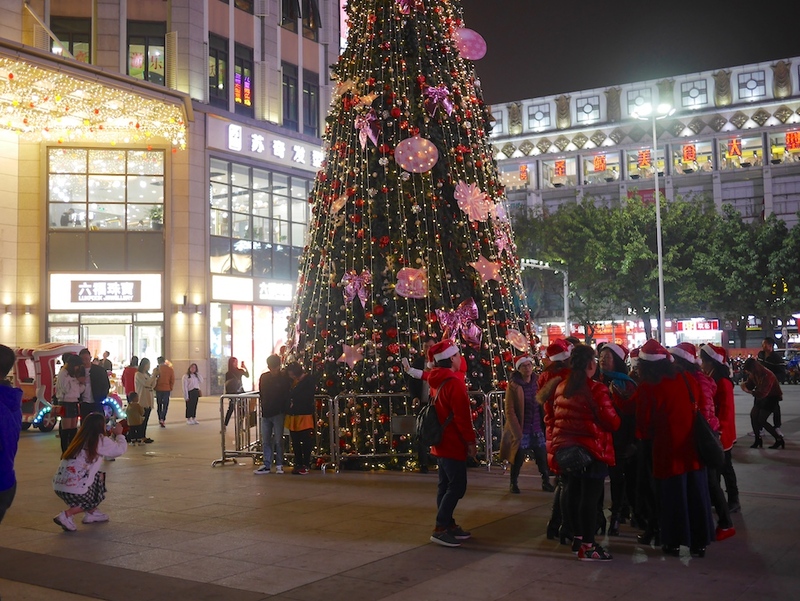 On the other side of the bridge, the Central Power Plaza shopping mall had a large Christmas tree outside. 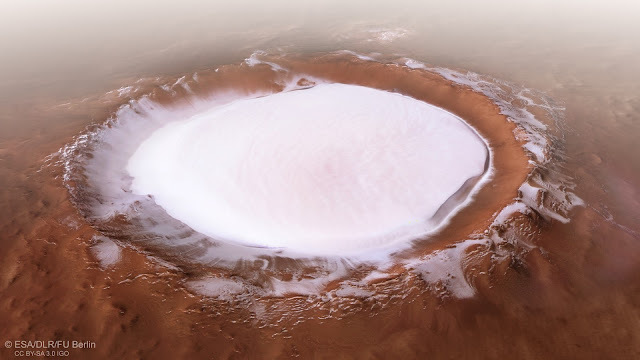 Unsurprisingly, it was a popular location to take photos, including for a group of women wearing Santa hats. 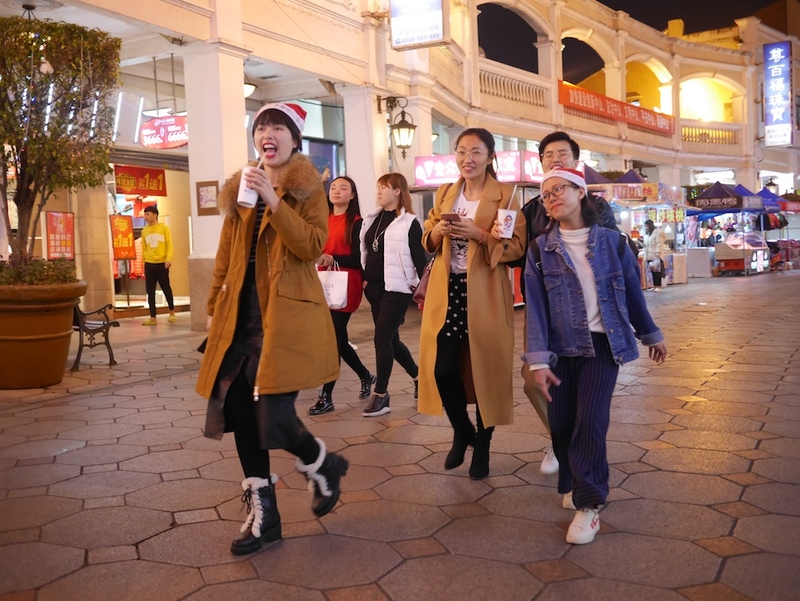 On the nearby Sun Wen West Road Pedestrian Street, more Santa hats could be found. 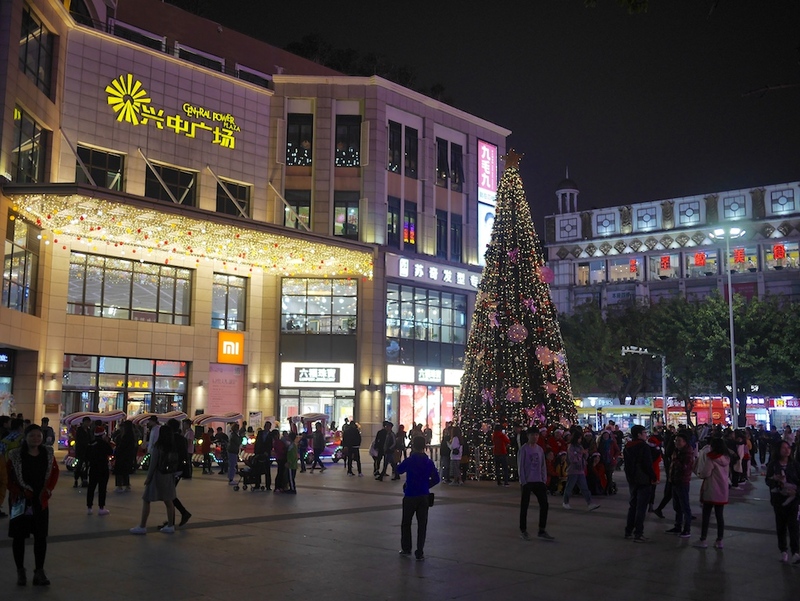 On Christmas Day, I stopped by Lihe Plaza. In addition to the Christmas tree outside, there were also giant reindeers and a Santa Claus above the main entrance to the shopping mall. 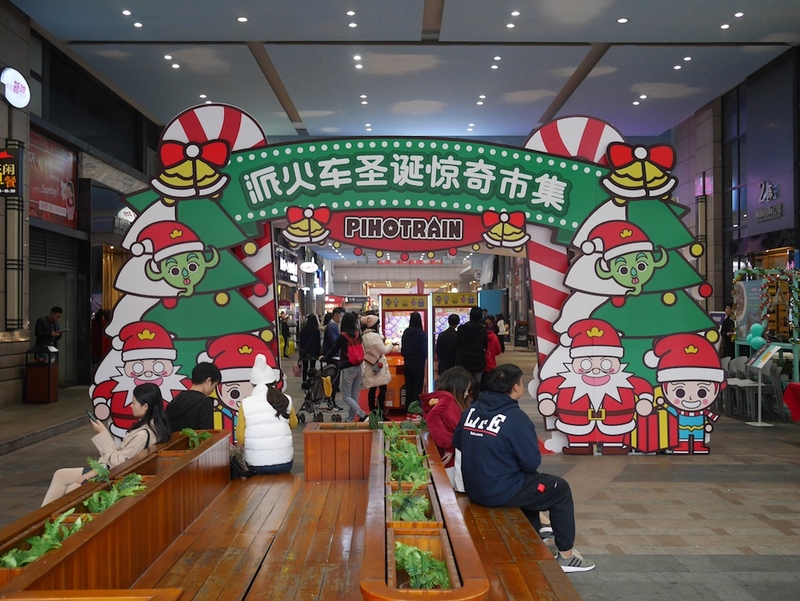 In one open air pedestrian area there was a market set up with a theme mixing Christmas and Pihotrain — a young Shenzhen-based company with Disney-like ambitions. 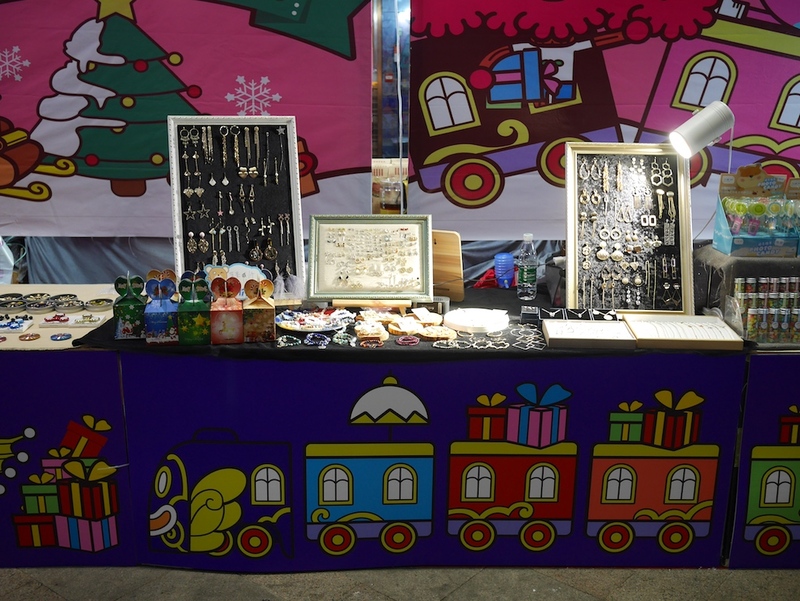 Most of the vendors in the market were similar to those I have seen in the same location when the market has had other themes. But at least one vendor added a Christmas touch with decorations. And one vendor even added Christmas apples to their selection. 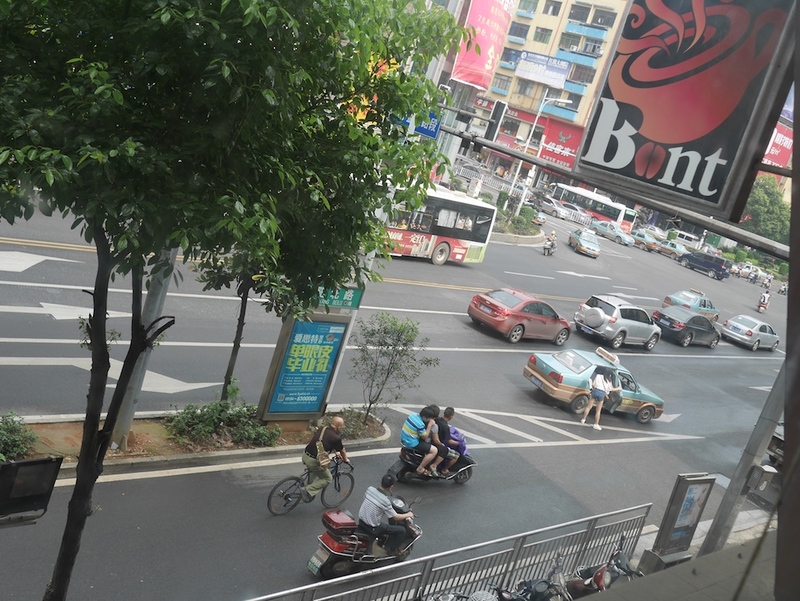 We're back to the apples, so this seems like a good time to say, yet again, "that is all", at least for Zhongshan. Some day / year I hope to share past Christmas scenes that never made it here from at least two cities not mentioned above. Until then, enjoy the apples. 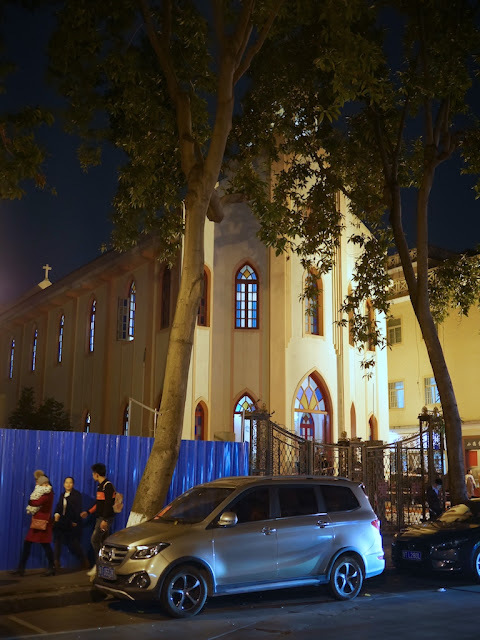 Several days ago on Christmas Eve I stopped by the Immaculate Conception Church (圣母无原罪堂), also known as the Shiqi Catholic Church (石岐天主教堂), in Zhongshan, China, while it was holding Midnight Mass. Below are a few photos I took along with some very brief commentary. 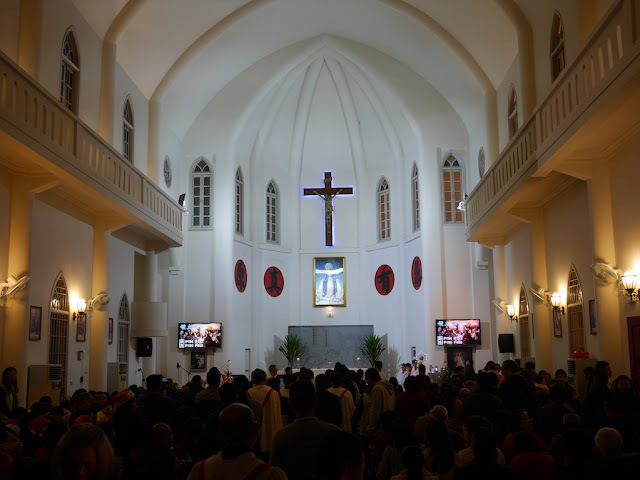 When I looked inside, the church was packed, and people were singing. Outside the church, people could be found praying as well. Some took advantage of the holiday photographic opportunities. There were at least two children handing out packets of peanuts and candies. 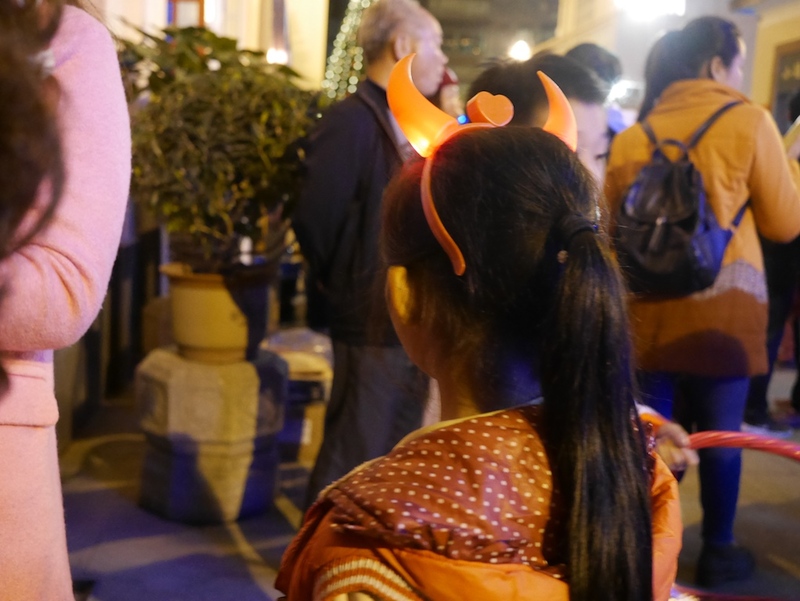 One girl outside was wearing red horns, which I have seen on Christmas Eve before. 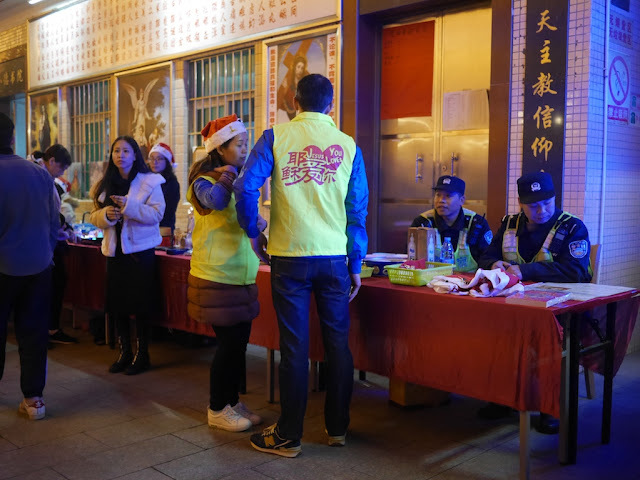 Similar to when I visited a church in Quanzhou, Fujian, on Christmas Eve six years ago, there were a number of people wearing clothing identifying they were there to help. Also similar to Quanzhou, there was a clear presence of relevant authorities in uniform, though far fewer — not especially surprising since this church in Zhongshan is smaller. And there was one thing I didn't see in Quanzhou which stood out. 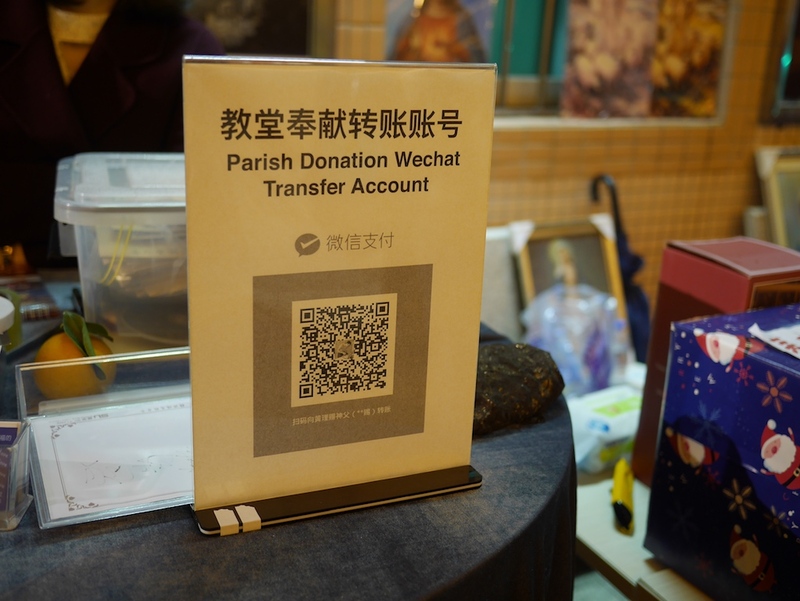 The recent growth in the use of QR codes to make payments or transfer money was on display. 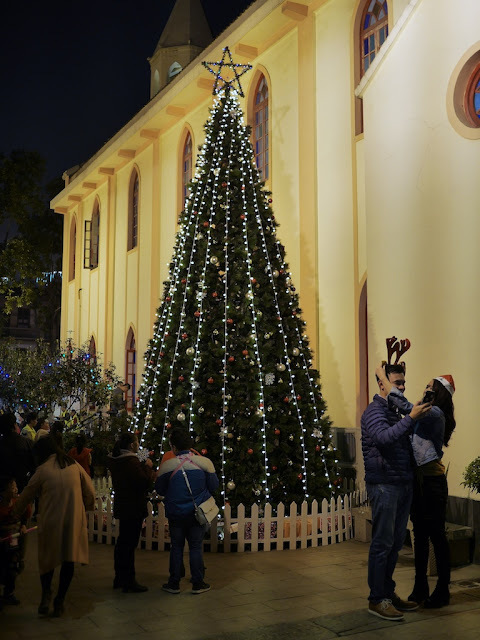 Long story short, my sense was that that some people were interested in observing the religious aspects of the holiday while others, especially those outside, were more interested in less religious aspects or simply curious. Midnight Mass ended at 11 p.m. but some people were still there more than 15 minutes later when I left after a helpful discussion with one of the assistants. That's all. Later I will share some other scenes of Christmas spirit in Zhongshan, some of course including the traditional Christmas apples. 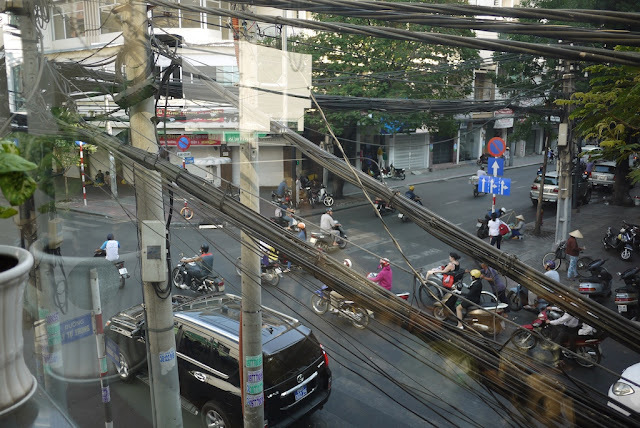 Similar to when I looked outside from a cafe in Hengyang, Hunan, one afternoon four years ago . . .
. . . the experience reminded me of looking out another 2nd floor window at a cafe in Ho Chi Minh City, Vietnam, one morning five years ago. As in Hengyang, the unexpected connection provided much to ponder. 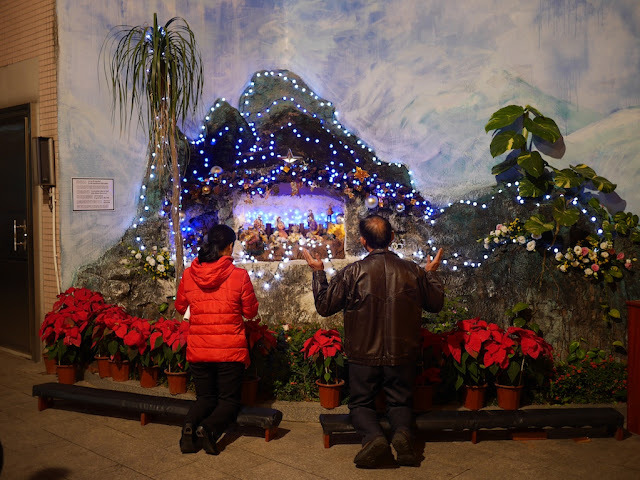 The Lunar New Year, also known in China as the Spring Festival, isn't until February 5. 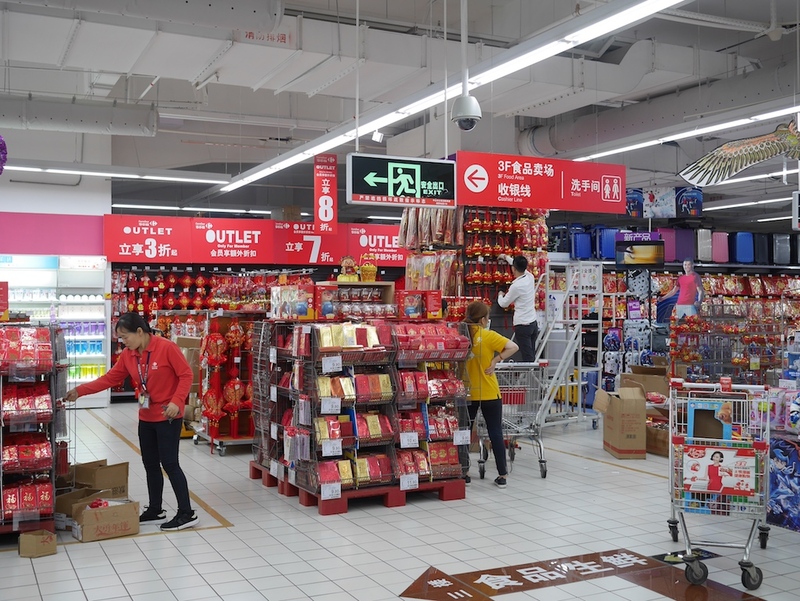 But it isn't to early to see signs of it in China's stores. Yesterday at a store for V.S. 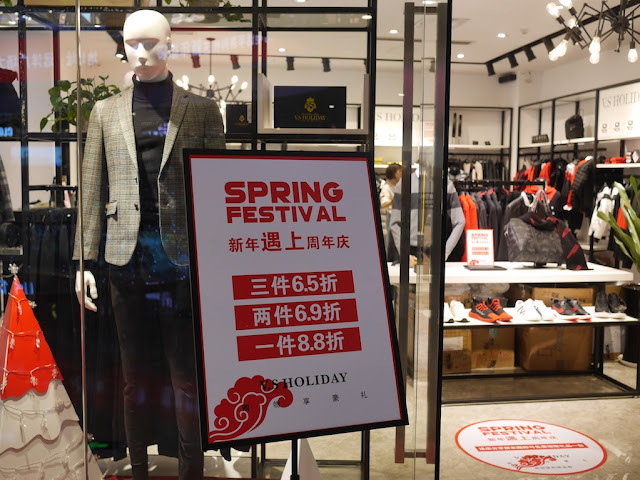 Holiday, a men's clothing retailer headquartered in Zhongshan, China, I saw a sign announcing their Spring Festival sale. 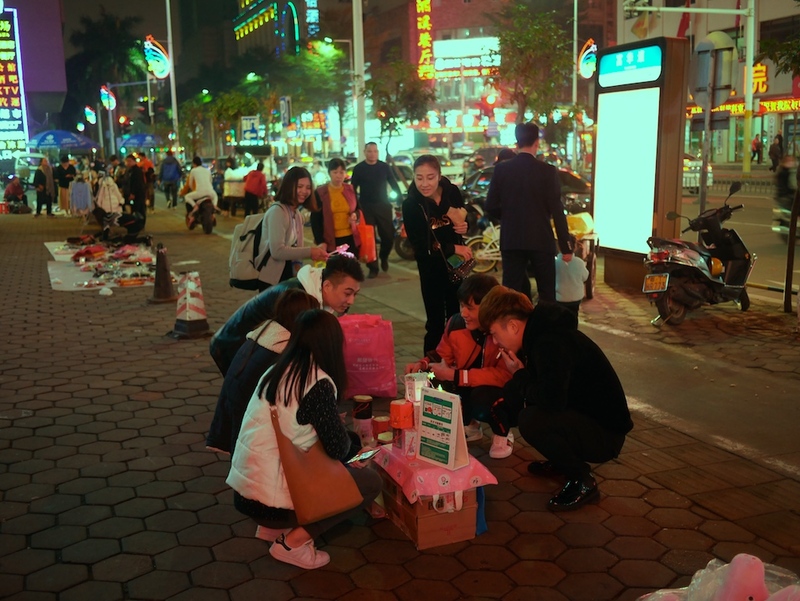 And not long after that, also in Zhongshan, I saw employees setting up displays of Lunar New Year items for sale at a Carrefour. 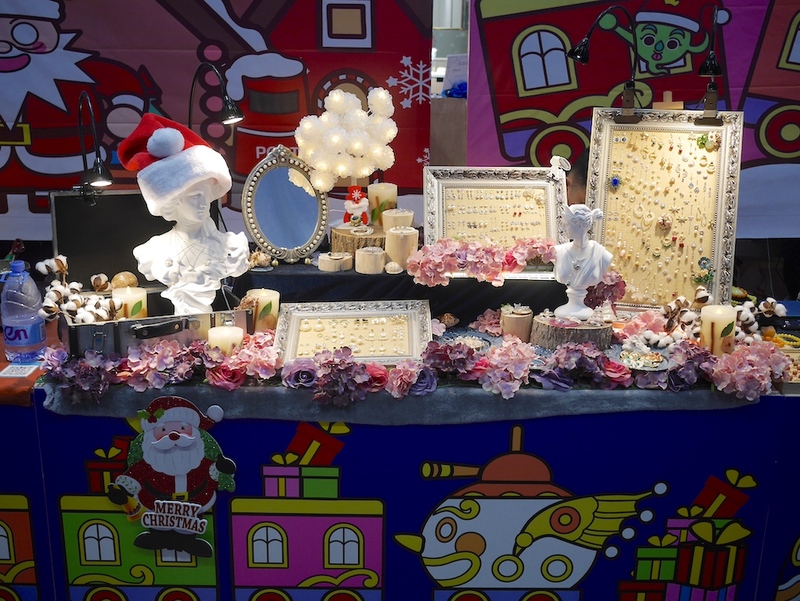 Notably, at both V.S Holiday and Carrefour there were also clear signs of the upcoming Christmas holiday as well. So much holiday spirit . . . It's really real. More here. 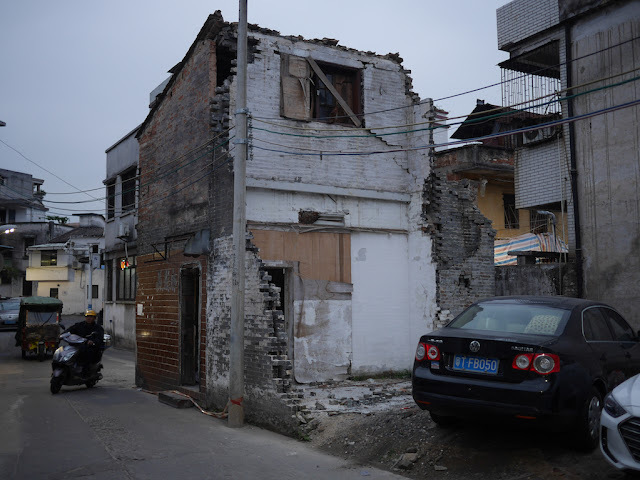 If tonight you had looked at this building on Louyuan Street (蒌园大街) in Zhongshan . . .
. . . and thought there would be a ping-pong game occurring inside . . .
. . . then you would have been correct. I was invited to join in, but I had to decline. 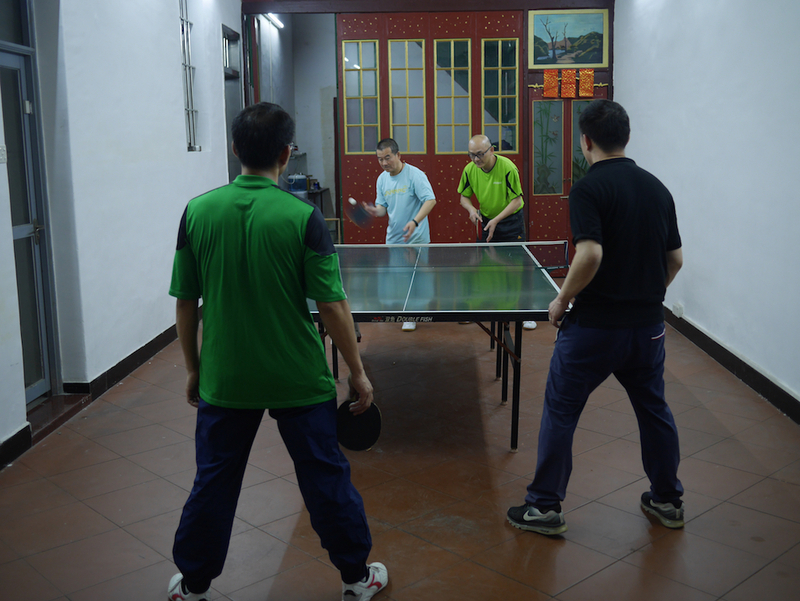 Their ping-pong skills were clearly far advanced beyond my own. But I am glad they left the door open making it easy for passersby to see what was occurring inside one of the old buildings on Louyuan Street. 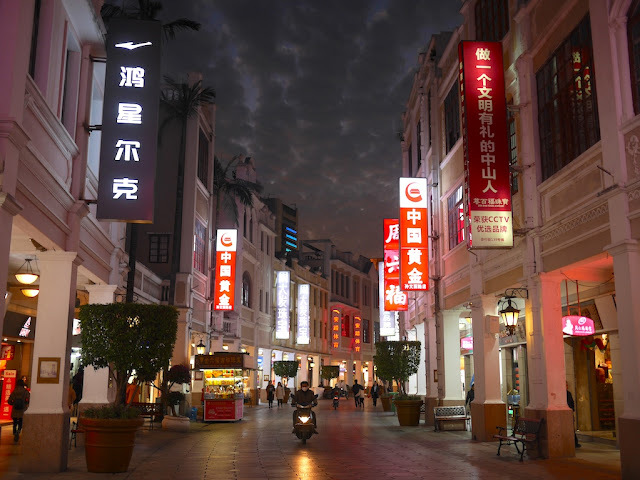 During the past two years I have shared night scenes here and here from Zhongshan's Sun Wen West Road Pedestrian Street — a historic street without the signs which can be found nearby warning of dangerous buildings. 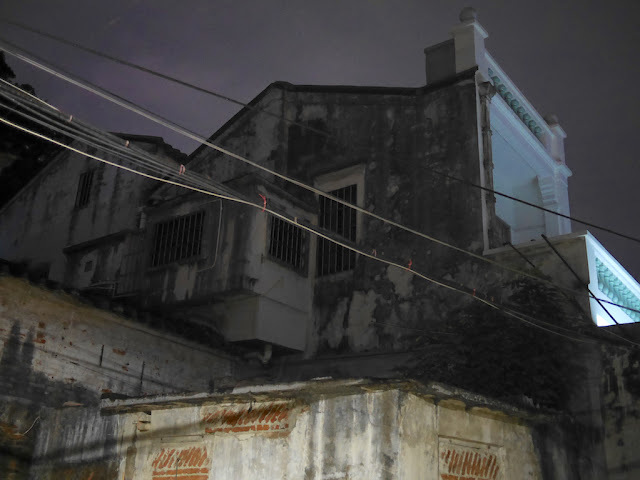 Below are two scenes as night was falling there two days ago. The lighting and clouds added a special effect. 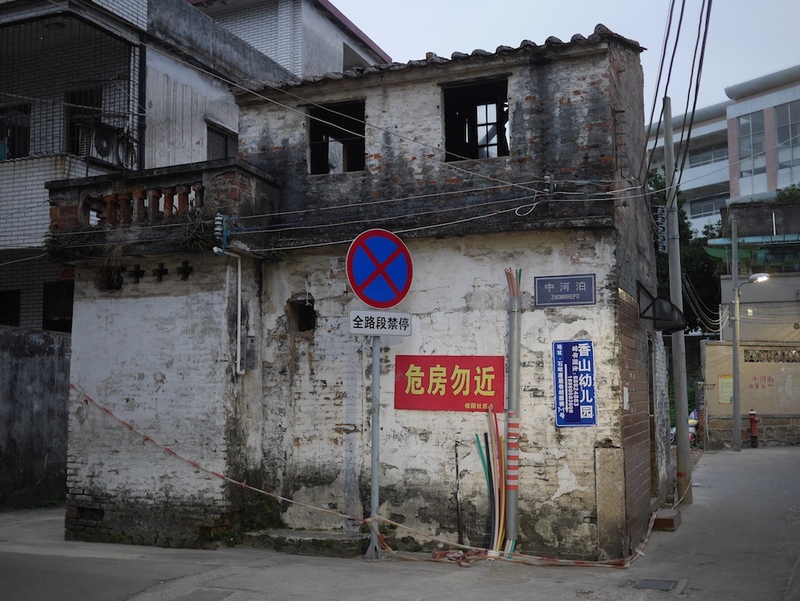 In the older sections of the Shiqi subdistrict in Zhongshan exist some buildings currently marked with the sign "危房勿近" — "Derelict House, Stay Away". Despite the warning, I haven't seen any examples where something has else has been done to keep people safe from potential danger, and typically people regularly pass by in close proximity. Below is one such house in Zhonghepo (中和泊) with the red and yellow sign. 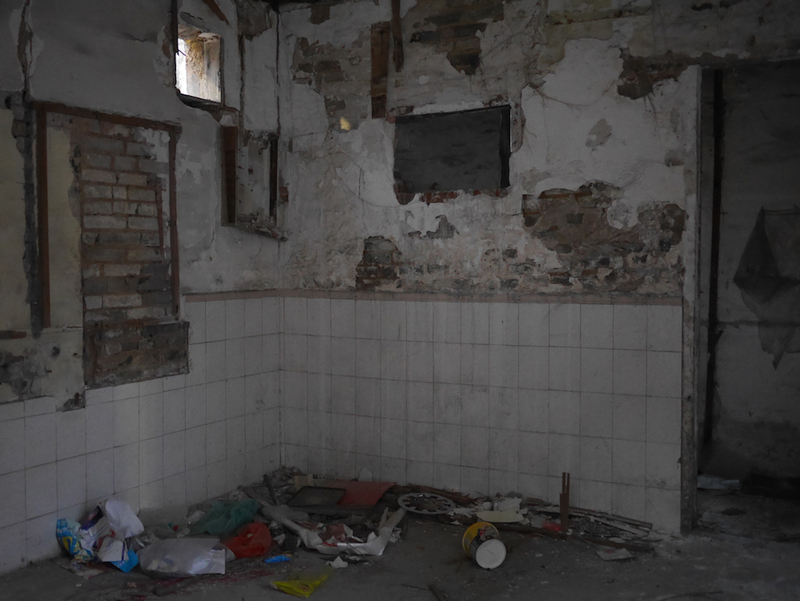 I don't know whether it is more likely destined for repair or demolition. Fortunately, whatever its fate, I suffered no harm for taking a brief close look as night fell. "Shanghai, China, 1939, a Hanukkah party for refugee children in the Twig family's home"